Legendary musician plans to use his fame to promote veganism. 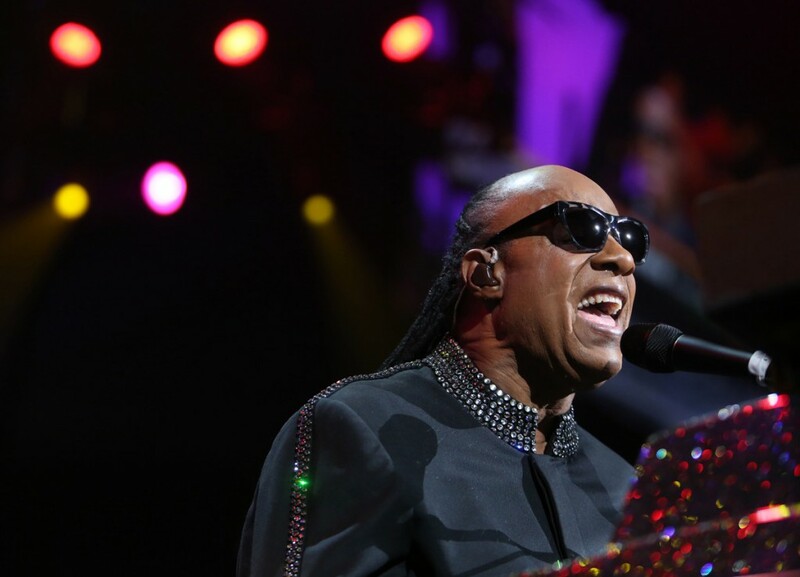 Legendary musician and 25-time Grammy Award winner Stevie Wonder recently revealed to AOL that he is vegan for health and environmental reasons. To explain how he has kept himself healthy, the 65-year-old stated, “I’ve been a vegan for two years, so that’s helped my already good-looking self.” Wonder further explained his desire to follow a vegan lifestyle, expressing that, “I’m motivating people to do something about how we are living on this planet.” The musician plans to use his fame to spread the word, urging others to consider going vegan. Wonder stated, “We have to be about making our planet more greener, the urban areas more sustainable for the children,” adding, “we can’t just talk about it, we have to be about it.” Earlier this year, Wonder performed an impromptu song on The Late Late Show with James Corden that urged viewers to go vegan. Today We Remember Dr. Martin Luther King Jr.
Q: I am just becoming a vegan going on 20 years in June, and it takes a lot of discipline. I was wondering if you knew any good recipes for some good vegan style dishes. I really want to establish a vegan restaurant. I have purchased your Alternative Diet and Lifestyle Manual, and I know its healthier to eat vegan. But, I also understand its not the healthiest due to soy products. Is their still away to satisfy my appetite and well being at the same time? We have a couple of articles you might be interested in. Q: What is the best way for a Vegan to get vit? B 12? What do you think about essential oils? Have you heard of the Young Living brand? I work with a woman who says she has eczema, but it is deep purple and very painful. I have never seen anything like it, but her doctors want to try chemo to get rid of it. Doctors are so brilliant. Why do so many people go to get punished by them? FOR B12, EAT PLENTY OF GREEN VEGETABLES OR TAKE VITAMIN B 12. I HAVE HEARD OF YOUNG LIVING BRAND. ESSENTIAL OLIS ARE ESSENTIAL OILS. YOUNG LIVING IS JUST A BRAND. THE OILS ARE THE SAME. YL OFFERS GOOD OILS. I ENDORSE THEM! GOOD GOD ALMIGHTY! CHEMOTHERAPY FOR ECZEMA? PLEASE TELL ME YOUR FRIEND HAS BRAINS AND KNOWS NOT TO FALL FOR THIS. PLEASE HAVE HER READ MY ARTICLE ON â€ECZEMAâ€. I STAY AWAY FROM DOCTORS AT ALL COSTS! Q: I am turning 50 this year and recently discovered that I have hypothyroids along with a guider. I would like to lose 30 lbs and adapt a new and healthier way of eating. My personal choice is vegan/vegetarianism. Can you advise me of how I can accomplish this? I am not stressing but I need to make a change. I like what I have heard from "D" could you help me with this journey? Dherbs.Com can help you on this journey! Perform the FULL BODY DETOX first. After the Detox, take daily THYROID FORMULAand IODINE PHOSPHATE formulas. For veganism, check out ALTERNATIVE DIET AND LIFESTYLES MANUAL e-book for a dietary system along vegan lines. The best thing would actually be to schedule a 1-hour health consultation to get you started. Q: I don't know if you remember or know, but there was a Vegan Couple that had a newborn baby, and the baby had died from what seemed to be a lack a of nutrients because the couple fed the baby a vegan diet. If you remember this, what do you think went wrong. The couple was from Atlanta! What went wrong is that while they were well-intentioned, they were ignorant, ignorant to true nutrition. They fed the baby soy milk, and soy milk does not contain nutrition. They didn't supplement the soy milk with nutrition which they could have done with herbs such as alfalfa, Irish Moss, Iceland Moss, etc. Q: I have recently made the transformation to becoming a complete vegan. How can I determine what foods are for vegans? Simple question to the self that you can always ask now as a vegan, "Is this product derived from an animal? ", and you'll never go wrong as a vegan. Two good questions, to help you make your own decisions as a conscious consumer and vegan: Is it nautral (from the Earth/plant)? Is it from animal? Always ask yourself these 2 questions when in doubt! Q: Peace. First off I would like to say that I am in love with your site. I started my children on a vegan diet last year, but they're lacking a very large amount of nutritional needs, including myself. I saw yours children's multivitamins, will it be strong enough to get my children back on a healthy tract? They're age 2,4,and 5. One more question. I ordered the full body cleanse. I also have an issue with my skin. I have cysts all over my body covering some of my hair particles and when they come to a head, besides the pain, its full of puss n there's a large amount of baby fine hairs that come out with it. I've been suffering with this since I was 14 yrs old. Can you help my situations? Q: I have been taking your herbs for 6 months now. My issue is I have a 3-5 day period and day 1 and 2 my period is heavy. I have never had a heavy period until I moved with my mother and 3 nieces and nephew a little over a year ago. I feel it is a metaphysical reason I am having these problems. I do not have any children of my own and I have never been married. I am 36 years old. Plus I eat mostly a raw food and vegan diet. My period started when I was 10 years old. What would you advise? IT IS MOST DEFINITELY METAPHYSICAL. YOUR ENERGY HAS SYNCHRONIZED WITH THAT OF YOUR MOTHER'S AND NEICES. THE MENSES DENOTE CLEANSING SO A HEAVY MENSES MEANS YOUR DUMPING OFF THE TOXIC ENERGY OF ALL AROUND YOU, THAT'S ALL. YOU'RE TAKING IN ALL THE ENERGY OF THE PEOPLE IN THE HOUSE. THE FULL BODY DETOX AND TOTAL WOMAN CLEANSE IS GOOD FOR YOU TO FACILITATE THE CLEANSING PROCESS. BUT ALSO, MEDITATION, YOGA, READING POSITIVE MATERIAL, ETC. Q: Hetep, I've been a vegetarian for about two year's now, have not consume any meat since, but recently I begin eating shrimp, I don't drink milk, eat cheese, fish. I want to be like a vegan but, is it an issue with me eating the shrimp, and another thing I smoke weed heavy, is the smoking affecting my vegetarian diet. Q: I read your article on " Aids/Hiv". You stated Aids is a hoax and was created to promote Azt. If so what are people experiencing when they speak of symptoms pertaining to aids? What makes people test positive for H.I.V? I look forward to an answer. My brother, Thank you! The symptoms are from a weakened immune system, from pharmaceutical drug consumption. Symptoms are associations from other problems, and other problems are caused by other things: poor diet, insalubrious lifestyle, etc. Q: I know your probably busy helping all these lost people out there, so I'm not going to take a lot of time. Could you please refer me to a good Raw food diet book? I've been vegan for a while and trying to make another transformation towards my Original Diet. Please purchase our "ALTERNATIVE HEALTH DIRECTORY" e-book which lists a plethora of vegan and raw foods resources (books, magazines, lists, etc.). It's just what you're looking for.